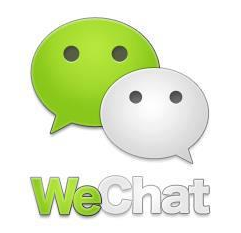 After installing the app in my iPhone I didn’t have anybody with WeChat yet, but I asked some friends to install it to test it around. I think it has a nice and clean interface, and over time could be a good contender, on the meantime the most valuable feature is cross platform video calling which works ok if both parties are on a Wifi or fast connection, but not very good if at least one of the sides is over 3G. I still dont understand why companies like Viber and WhatsApp havent started with video calls, even if they decided to charge something a lot of people will use it!